Update: Visitation and funeral arrangements have been added to this post. Please see below. Sid Easley, former Murray State University Board of Regents Chair, Murray attorney and former District Judge for Calloway and Marshall Counties, died Tuesday. Easley had been battling cancer. Graduates of and longtime advocates for Murray State, Easley and his wife Melissa recently established the Sid and Melissa Easley Leadership Scholarship Endowment of $250,000 and made a substantial gift to the Team 5 Racer basketball initiative. He was also a longtime supporter of WKMS and the MSU Department of History. Easley earned his degree from Murray State in 1962, followed by a law degree from the University of Kentucky in 1965. While attending Murray State, he was as President of Pi Kappa Alpha fraternity and the Student Government Association. As past president of the MSU Alumni Association board of governors, he was honored with the naming of the Sid Easley Alumni Center in 2005. At the formal ceremony, he said "Murray State University gave all of us opportunities we may never have had if it hadn't been here." The Alumni Association bestowed upon Easley the first Golden Horseshoe Award for his commitment to the university. In 2014, Easley published a book titled A Courthouse Tragedy: Politics, Murder, and Redemption in a Small Kentucky Town, recounting the true tale of of a 1922 Grave County Sheriff who was murdered in the courthouse in front of several witnesses. A few days alter, his wife is appointed sheriff and and begins her quest for redemption. Author Bobbie Ann Mason said Easley, "Not only brings some interesting characters to life, he also interprets convincingly the character of the place, Graves County, as it was in the 1920s." Justice Bill Cunningham said the story is, "Told so well by an author who has a unique feel for the place, the passion, and the time." Visitation will be held at Murray’s J.H. Churchill Funeral Home from 4 to 8 p.m. Saturday. Funeral services will be at Murray’s First United Methodist Church at 2 p.m. Sunday. A burial ceremony will follow at Murray City Cemetery. Easley's family encourages donations to the Sid and Melissa Easley Leadership Scholarship Endowment, Murray’s First United Methodist Church and Murray Calloway County Hospice at the Murray Calloway Hospital in lieu of flowers. He is survived by his wife Melissa, a former teacher, social worker and registered nurse also active in many community organizations and two sons Don, a portfolio manager at T. Rowe Price Investments, and Eric, a senior diplomat in the U.S. State Department. 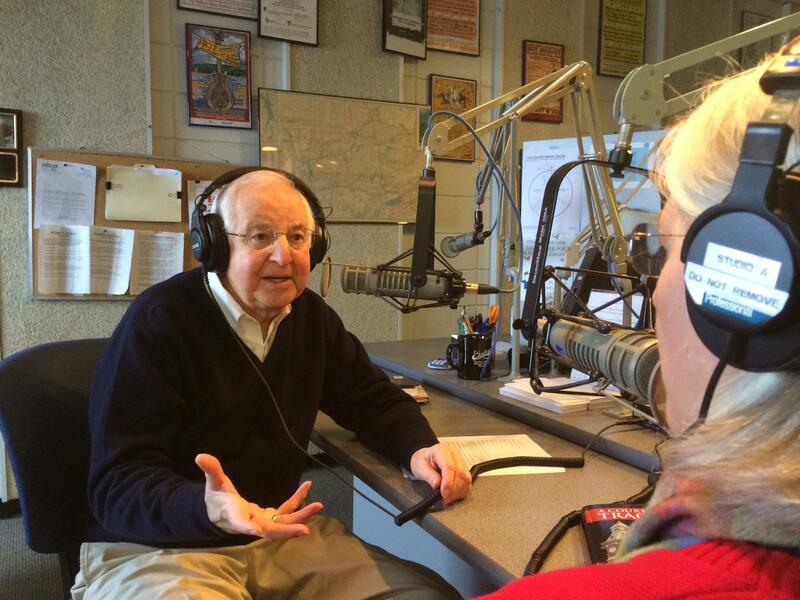 WKMS is grateful for his friendship and support over many years. In 1922, the Graves County Sheriff was murdered in the courthouse in front of several witnesses. A few days later, his wife is appointed sheriff and begins her quest for redemption. Murray attorney Sid Easley tells this true tale in his book, A Courthouse Tragedy. Easley joins Kate Lochte in the studio during Sounds Good to describe the fateful events and reads from his book.